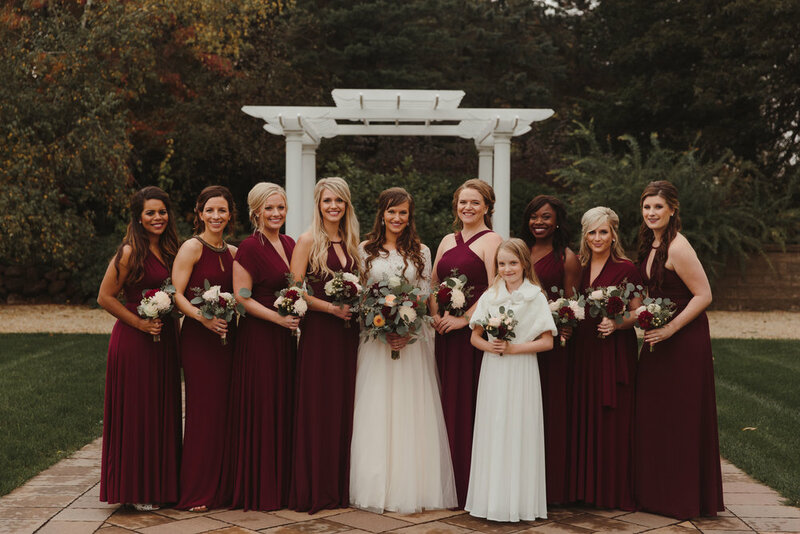 This week we're highlighting Julia & Sam's wedding that took place on October 7, 2017 at The Gardens of Castle Rock in Northfield, MN. 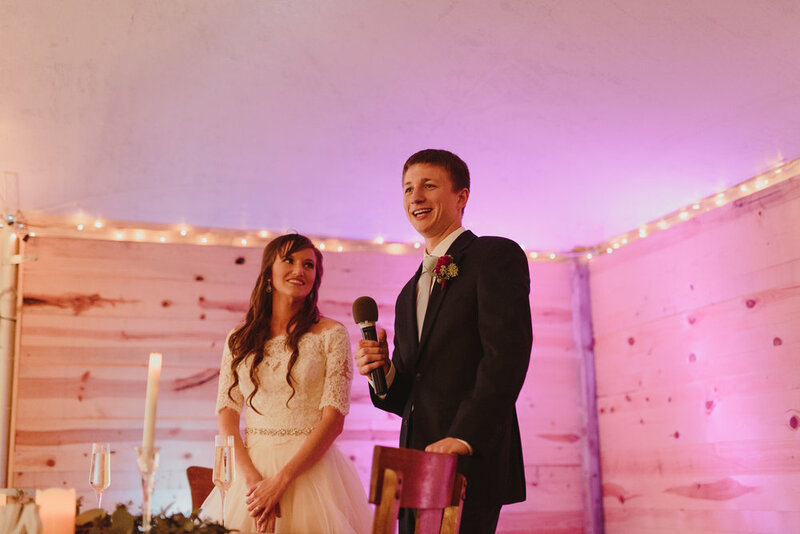 Julia & Sam came to us in the fall of 2016 in search of a wedding planner. At the time, Julia was working toward her Masters Degree overseas, so she really wanted to have someone who could help her plan her special day from afar. A few short weeks later, we started working together and got to planning! As the months went by, Julia and I mainly emailed back and forth, but she also came in town every few months so we would meet for coffee whenever we got a chance. I also got together with Sam and Julia's Mom a few times to come along to the venue tours and such which was super exciting. Overall, it was a JOY to work with Julia, Sam, Mary, Sarah and the rest of the family! With a blink of an eye, it was already nearing the end of summer 2017. Where did time go!? Julia & Sam's wedding was quickly approaching. 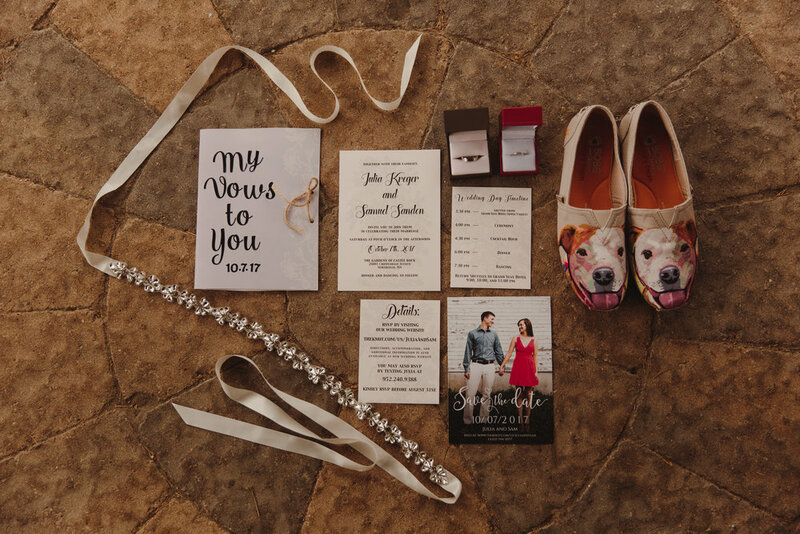 At the time, Julia was just finishing up her classes and a dissertation that had her feeling a bit overwhelmed, especially with the wedding just a few months away. 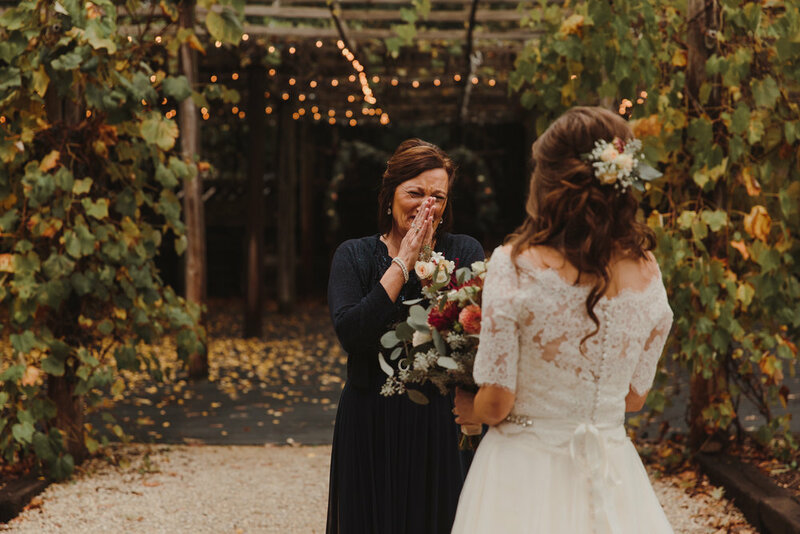 I may be biased when I say this, but I'm so glad she hired us to help her with her planning, final details, vendor coordination and much, much more! I'm sure with all she had going on school-wise, she had a lot on her plate and my job was to help her feel less stressed in every way possible! As the weeks went by, we continued to email back and forth and finalize all the details. That's when I found myself waking up on the morning of October 7th, 2017. I had been helping Julia & Sam plan their wedding for a little over a year and it was hard to believe their big day was already here. 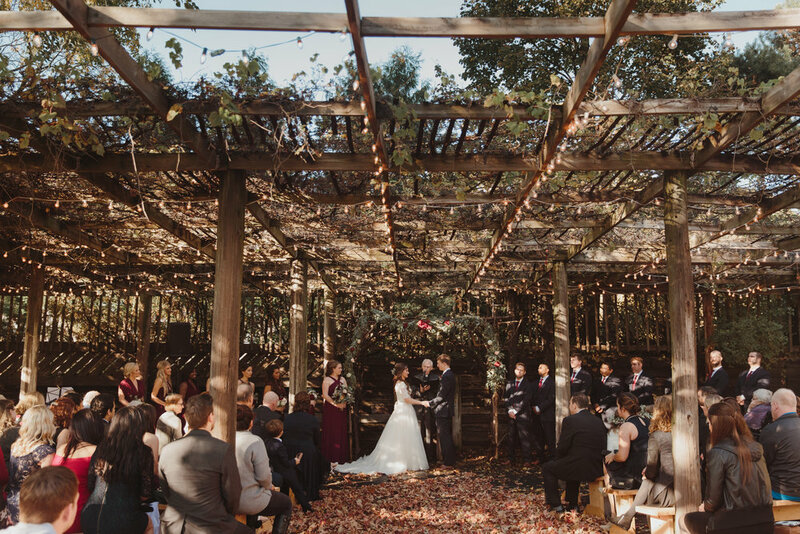 Knowing their wedding was outdoors, I had crossed my fingers for perfect weather. Unfortunately, the skies were a bit cloudy the morning of and the rain came pouring down here and there all morning. My assistant and I arrived to the venue in the late morning to start setting up. Fortunately, the rain started to taper off as we moved into the early afternoon. By the time we finished setting up and guests starting arriving, the sun started to come out of the sky... just in time for the ceremony! The night continued with lots of laughs, smiles and two people happily in love. At the end of the night, I wouldn't be lying if I told you it was so hard to say goodbye. Since I had been working with them for just a little over a year, the wedding planning had become more than that. I felt like I had gained a friendship, and sure enough I did. Julia & Sam-- CONGRATULATIONS! Wishing you many years of love, laughter & happiness.